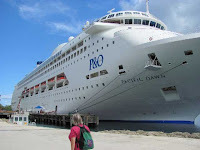 On March 19th, when P & O's Pacific Dawn sailed out of Brisbane on a 7-night cruise to Noumea, Lifou and Vanuatu, the 2,000+ passengers included a group of about 250 family historians and their travelling companions. 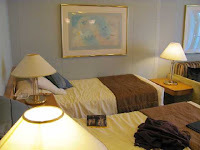 With a conference on a cruise, genealogists can 'do their thing' without feeling guilty, knowing that their families / friends are enjoying themselves elsewhere on the ship. This was Unlock The Past's first genealogy cruise, and overall it was a great success, thanks to the hard work of the Unlock The Past team and Clean Cruising. Many of our group were family history 'beginners' (or close to it), and they seemed to find the lectures very helpful. Experienced genealogists who have heard many of the talks before probably picked up a few new tips or were reminded of neglected research tasks on their 'To Do' list. I suspect that all of us learned something useful during informal chats in places like the queue for breakfast! Many people asked why I was not one of the speakers. 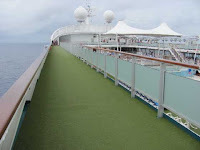 For me, the cruise was primarily a much-needed holiday after two very difficult years. The genealogy component was a bonus; and I enjoyed making new friends and catching up with colleagues whom I rarely see. 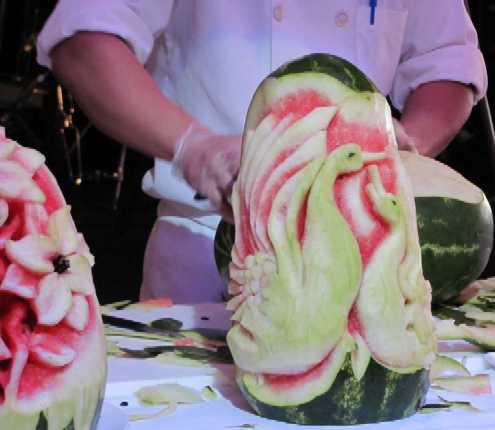 I've attended more than one hundred genealogy events, but this was my first cruise, so you can probably guess which aspect of the week I found most appealing! Saturday: We were in the first group to board, so I had plenty of time to explore the ship, which is magnificent (and huge). Rain and poor visibility cannot dampen my spirits - I'm on holidays! 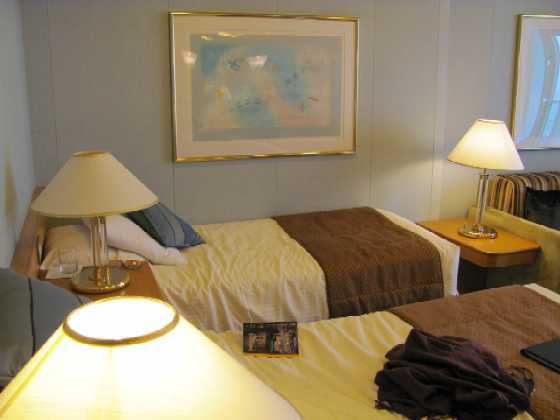 I studied the blurb in our cabin to find out where things are (eg, non-smoking deck areas are on the port side, and an English afternoon tea is served in the dining room on days at sea). I'm glad I stayed awake long enough to go to the spectacular laser show in the Atrium at 10:30pm. 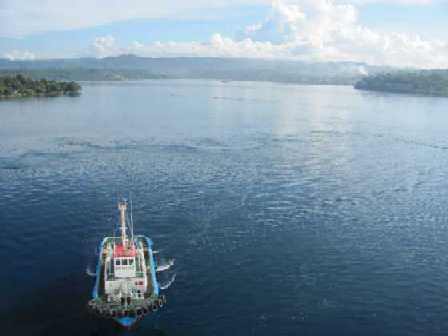 Sunday: After a few doses of Nux Vomica, any hint of seasickness vanished completely. The main talks are in large rooms, but apparently we need to be downstairs by 7:30am to be in the race for seats for talks in the small Captain's Lounge. After a claustrophobic 15-minute wait near the lifts to be escorted there, I think I'll give the Captain's Lounge a miss in future. I was disappointed that Lesley Silvester ran out of time before she got to the 19th century in her 'Social History' talk. For 17th-18th centuries she recommended Early English Books Online, British History Online and Eighteenth Century Collections Online, ? at University libraries. Carol Baxter (an excellent speaker) talked about the 'Biographical Database of Australia'. Leigh Summers spoke about 'Fashion History' (interesting - good to see topics like this on the programme). The rain finally stopped late today, so I burned off some calories on the walking track in the cooler evening air. Monday: Today's non-genealogy events included an interesting 'virtual tour' of the ship's bridge (Pacific Dawn can go from 'full speed ahead' to 'stopped' in one mile); two shows (Transformation by Pacific Cirque, and Tahitian Experience, a local folkloric show); and a Cruise Fair (which included demonstrations of how to fold towels and table napkins to represent birds and animals). I am doing multiple circuits of the walking track morning and evening, and taking the stairs instead of waiting (forever) for a lift. The food is great, and there may be some truth in the joke about walking on as a passenger on Day 1 and being rolled off as cargo on Day 7. I would have liked to hear 'Google Your Family Tree' by Shauna Hicks, but the timing was unfortunate. I skipped it because I have Dan Lynch's book on the subject, and I heard his talks last year, and I really wanted to be on deck as we sailed into Noumea! I wish I'd booked a shore tour. Walking around by myself was not much fun, especially in oppressive heat and humidity. I've decided to give up on the themed discussions at lunch and dinner. With huge round tables for ten in a noisy room, I can only hear about 20% of the conversation. 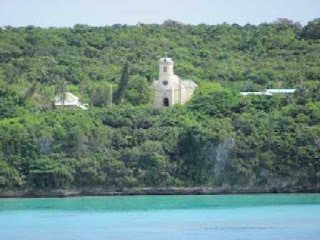 Tuesday: Thanks to Chris and Ken, I found the secret spot at the front of the ship and had a great view as we approached Lifou. 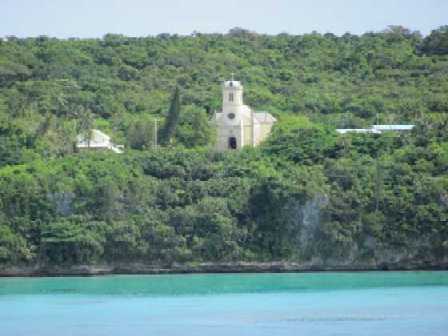 I didn't go ashore, mainly because of the heat, but from the ship we had great views of the beach, church etc. Leigh Summers gave an interesting talk on 'Contraception in the Victorian era'. A Mix-and-Mingle session (great idea) made it easier to find people we wanted to meet. Dinner in the dining room this evening was the best yet, with brilliant company (Adrian & Esther Cloonan and Kerin Stinear, family historians I've met on the cruise). Discussions are much more enjoyable at a smaller table! Wednesday: I'm glad I got up early to take photos as we sailed into Port Vila. The small natural harbour is beautiful (and busy, with small boats, water taxis, jet skis, and even a man paddling a tinny with one oar). I took my time exploring the markets at the port. Many stalls have similar things, but I found some unique items that other people missed in their haste. Again, I wish I'd booked a tour or found someone with whom I could have explored by taxi or minibus. After a hot, humid day, it was lovely on deck as we sailed out of the harbour and into the sunset. Thursday: I got up early for my morning walk and breakfast before Jeremy Palmer's 'Tracing Your Irish Ancestry' at 8am. Mike Murray's 'DNA for the Genealogist' was a complex subject, and many in the audience felt that there was too much scientific background and not enough about the tests that genealogists can use. I've heard several people speak on this topic, and Kerry Farmer's presentation at the Sydney Expo last year was by far the best. Shauna Hicks talked about digitised newspapers and other aspects of 'Trove'. She recommended setting up 'My Libraries' so you can see whether resources are available in your local area, and searching Picture Australia separately as well as within Trove. She also pointed out that Australian Research Online includes material useful for genealogy (University theses, papers by academics such as Dr. Jennifer Harrison, etc). Allan Murrin talked about 'FamilySearch' and mentioned that signing in (free) gives you access to extra collections. Non-genealogy events today included a tour of the galley, which is huge, with separate sections for the preparation of sauces, fish, pastries etc. I was fascinated by the display of carved watermelons and other clever creations using fruit and vegetables. After dinner I went to a song and dance show (a tribute to the best of Motown) where the costume changes were even better than the music. After that came the baked alaska parade, a laser show and the champagne waterfall. Friday: Cora Num's 'How Did They Get Here?' included good overheads about shipping and immigration records. She pointed out that National Archives of Australia records of passengers on ships to Western Australia in 1921-1949 include those who continued on to eastern ports. In 'Family History on the Cheap' (I can recommend the book) Shauna Hicks mentioned a trick with which I've had great success - namely, using postems on FreeBMD. 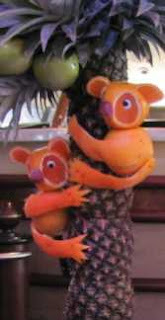 Jan Gow's 'Let's Get Organised' showed many uses for the nifty little programme Treepad. I use the free version constantly, and I'm now considering an upgrade. Helen Smith's talk 'No Medicare for Them: How our ancestors accessed health care' mentioned Friendly Societies such as the Independent Order of Rechabites, whose records are apparently at the State Library of Queensland. Helen's overheads included material from my Web page about rules, costs and conditions for patients at Burketown Hospital in the early 1900s. Helen also mentioned mental asylum records (some of which I have indexed). It is important to understand the differences between records of mental asylums and benevolent asylums. Saturday: I overslept and missed most the view of Brisbane as we came up the river, docking at 6am. The disembarkation process was incredibly well organised. In no time at all we were off the ship, had collected our luggage and were through Customs... and the holiday was over! 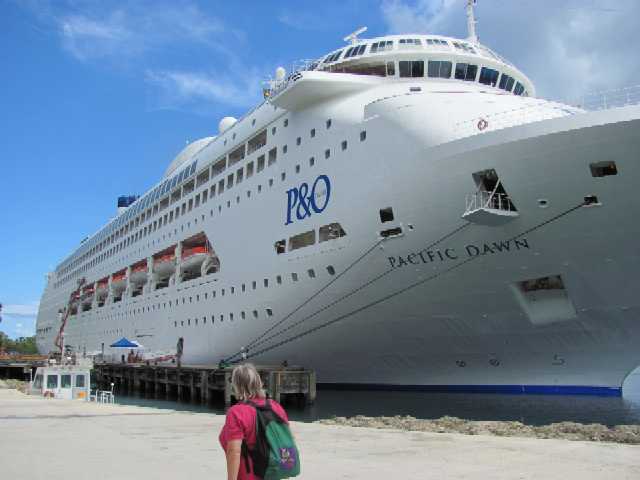 Would I do another cruise on the Pacific Dawn? Definitely! With the wisdom of hindsight, what would I do differently if I could do it all again? I would have dinner earlier and make a point of going to all the shows in the Show Lounge or Atrium; and I would book one or two shore tours in advance. What would I change as far as the conference was concerned? I will need to think about that before the organisers send me a feedback form! Three things spring immediately to mind: (1) Having to rush down each morning to book for talks is no fun (but I realise that P & O's arrangements meant that there was no other option on this cruise). (2) Pin-on name tags would be better, as it was usually impossible to read name tags on lanyards. (3) Themed discussions at lunch and dinner are good in theory, but would work much better at tables for six. If you were on this cruise, what were your favourite aspects of it? Would you go again? P.S. - For different viewpoints, and tips from talks that I didn't hear, read what Jenny, Shauna, Aimee and Helen said about the conference and cruise. Thank you for your interesting report Judy. A number of the table discussions did work well, especially those set for lunch. You rightly pointed out that the P&O constraints hampered us with programming. This only allowed 18 main talks to be pre-programmed, and the rest set on a daily basis. With our November cruise, we expect to have a 120 seat theatre available to us a large part of the time - in addition to 8 hours in the main show lounge. This should allow us to set a wide ranging program program before the cruise - to accommodate all who are interested in the topic offered. There are also several small rooms we should have access to for special interest sessions. Enjoyed your report, Judy. Thanks for taking the time to share your experiences. Thank you Judy. I enjoyed reading your perspective and the pictures are a great inclusion! I particularly appreciated the fact that there was plenty to do on the ship's programme when there was a gap in the conference programme (or an aspect that didn't appeal). It worked well, and as you said, the family who weren't interested in history or family history could easily amuse themselves elsewhere. I was actually really impressed with the emphasis on family that P&O offer. Thanks, folks, for your comments. Aimee, I agree with you, and I think it may have been the 'family can come too' aspect that brought a lot of newcomers to this conference. Shauna, I'm comforted to know that I'm not the only one who had a problem with the tables-of-10! 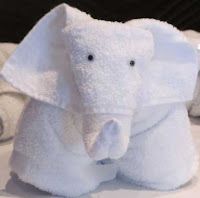 Jenny, this elephant was on display at the Cruise Fair. At that stage we had not seen any 'animals' in our cabin. Later in the week a cute dog appeared, made from my beach towel and hand towel. It was rather fun! Good to read your 'report' and see your photos. I don't know who you are :) but I'd have been interested to go ashore with you. I did my own thing [cheaper than a tour booked on the ship.] It would have been nice to have company and share costs. I agree with you about name tags. I found it frustrating to not be able to read them and it seemed rude to go up to someone and pick up their lanyard to see who they were!! [Just didn't do it!] In our cabin, Rosemary and I had an elephant and a bird made from towells. Thanks Dorothy. If we both happen to be on another genealogy cruise, I hope we can meet in person.